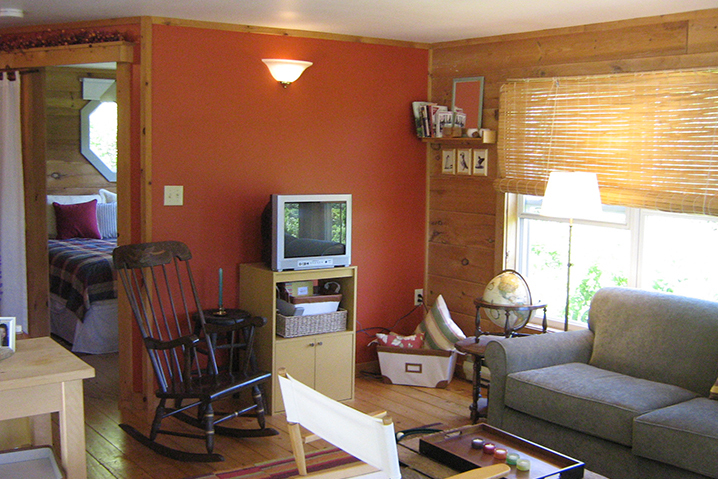 CreekSide Cottage is located on a private and secluded lane, tucked into the woods next to a little creek. Also in North Head, It boasts open spaces that invite creativity, so an Artist’s Easel and a Writer’s Desk are provided. 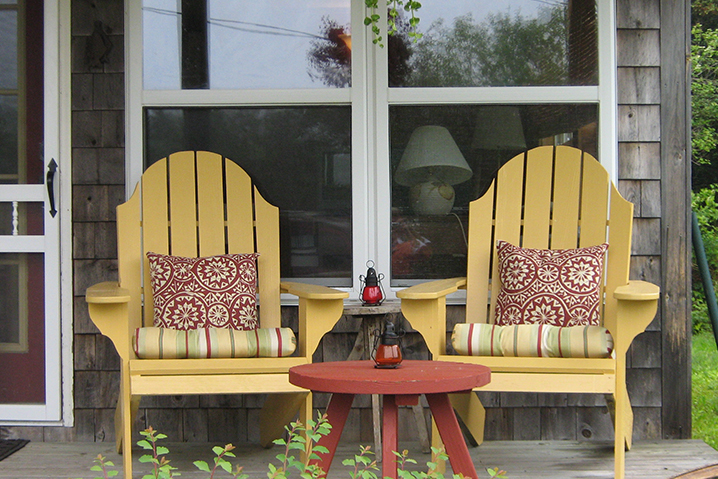 It is the perfect place to relax and renew, bird watch, read, paint, sketch or meditate. This is the perfect base camp from which to explore the magical wonders of Grand Manan. 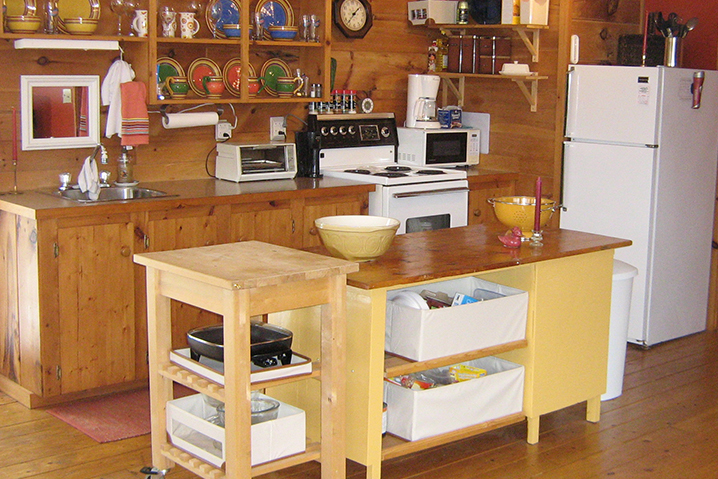 CreekSide Cottage is only a few minutes walk to Pettes Cove to watch the seals frolic, to pick rocks, photograph or to collect sea glass; or to visit gift shops, restaurants, and the many sights and conveniences in the North Head area. Take a short walk up a meandering path by the water to your little deck in the woods by the creek… Relax and refresh over lunch or drinks… or while reading that long awaited novel in the hammock built for two!! Wooded trail leading to an outdoor open deck furnished with Adirondack chairs and a hammock for two! Walking or biking distance to Fishermen’s Wharf, Restaurants, Shops, Post Office, Pharmacy, Bakery, Whale and Bird Research Station and Maritime Museum, Swallowtail Light, Pettes Cove, Hole in the Wall, and Trails. 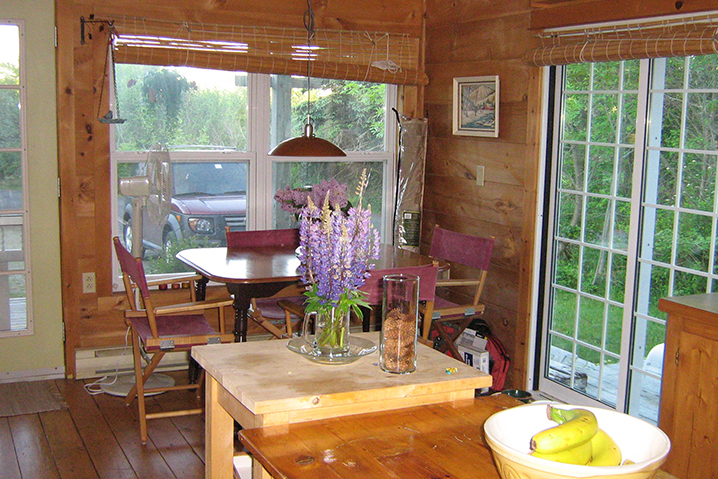 The CreekSide Cottage is a fully furnished and comfortable, “cute-as-a-button” bungalow that is a delight to experience. It is nestled into a sunny clearing, surrounded by woods and a little creek. It includes a fully equipped kitchen, open-concept living/dining space, Bedroom, Bath with Shower, roomy deck, a charming covered front porch, and a wooded refuge, up a path along the creek. © Copyright | Site Powered By Tweaked SEO & Web Design.